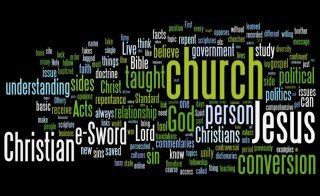 The current, official version of this blog is located at christianunityblog.net. For now, I am keeping this copy of the site online also, since so many google searches land here. The Sand Creek Address and Declaration of 1889 marked the beginning of division between the Churches of Christ and the Disciples / independent Christian churches. Dr. Leroy Garrett wrote that the churches of Christ as we know them today began with the words of Daniel Sommer at Sand Creek on that August day in 1889. There the pattern was established that, if a group of Christians understands certain things from the Bible, and other groups do not conform with that view, a division must occur. The pattern has been repeated innumerable times since that fateful day. The churches should be on their guard. They should know that Daniel Sommer has abandoned apostolic ground and is no more identified with the Disciples of Christ than Sidney Rigdon. Sidney Rigdon, of course, was a central figure in the Mormon church, so these were strong words indeed. The Sand Creek manifesto was manifest folly, and the Advocate emphatically denies any sympathy with Sommerism--whatever that is--Sand Creekism, Sand Lotism, Sans-culottism, Standards or any other partyism in religion. So in 1906, when David Lipscomb informed the census bureau that the two groups had parted company and were now separate churches, he was merely stating the obvious. It had not been his desire to see this happen, and he had worked to prevent the division. But by 1906 it was a historical fact that the churches of Christ and the Disciples / independent Christian churches had gone their separate ways. The sad irony of these events is that the man who did the most to bring them about, Daniel Sommer, spent the final years of his life trying to reverse what he had initiated. As often is the case, Sommer the old man had exchanged the hotheaded zeal of his youth for an attitude of humility and toleration. As the apostle John, once called the Son of Thunder, became the apostle of love in old age, so Sommer in his latter days called for common sense to prevail for the cause of unity. The positions in his paper began to moderate. One of his sons, Austen Sommer, started a rival paper to uphold the radical conservative line he felt his father was abandoning. Eventually Austen disfellowshipped his own father for supposedly losing his loyalty to the ancient faith. Austen was merely following in the opinionated footsteps of his father's younger years. To those of the churches of Christ who desire a plan for Unity, we submit the following for your consideration. We cry 'Unity,' and say that Unity can be obtained only on a New testament basis. Yet the New Testament is the Book we disagree on. If we can search out the things we agree on, and unite on them, and work together, we'll have Unity! Although the publishers of the Review replied to the attack by saying it was simply a rough draft of suggestions intended to encourage a restudy of our divided state with a hope of alleviating it, the opposers (of whom I was one of the most vocal) labeled it a written creed. The description of it by the publishers gave us a handle and we called it "The Rough Draft" and this made it possible to identify the supporters and the denouncers of it. Daniel Sommer disclaimed any knowledge of the composition of the document but came to its defense when he became aware of the rabid opposition. Daniel Sommer spent the fading days of his life trying to "put Humpty back together again." As he did so, the younger hot-headed conservatives took their shots at him. He was denounced by many as soft on doctrine, as one who had abandoned the true faith. In reality he never abandoned his convictions about what the scriptures teach on those controversial topics. But he added to that an understanding that God calls us to a kind of unity that includes toleration. Daniel Sommer died in 1940, without seeing success in his late efforts toward that kind of unity. What regret he must have felt, that he had led the way in the fracturing of the Restoration Movement! Though he repented personally, he could not undo all that he had done. Still more ironically, one of Daniel Sommers' leading critics was to walk a similar path. In the next article of the series, we will look at how the Sand Creek Address and Declaration affected the life of another enigmatic personality, a leading Restoration Movement figure named W. Carl Ketcherside. Last Wednesday night, May 24th ,2006, Rick Atchely led the Richland Hills Church of Christ congregation in a prayer for our brothers and sisters at the Harvest Baptist Church. Through a series of tragic and unfortunate events, the Harvest family lost many of their members and the ability to make their payments on their buildings and properties. We held up our hands in the general direction of their building on the Denton Highway and prayed for their recovery and faith in Christ. Several years ago, Richland Hills experienced the same financial problems and we know how painful and discouraging it can be. Today, we are debt free. Yesterday, May 25th,2006, at a breakfast meeting with Bob Ash, we agreed to undertake a fund raising project for the Harvest folks. Our purpose is not so much to relieve their financial burden, as it is to perform an act of Christian love, demonstrate Christian unity, and encourage them to persevere. If you would like to be a part of this effort, do these things. A. Send a personal check, made out to the Harvest Baptist Church, to Bob and Jack, 733 Hunters Glen ct.
B. Send this email to everyone in your address book. Bob and I will attend services at Harvest, and present them with all checks received by July 1, 2006. It is our prayer that checks will come from all over the world. When Dr. John Thomas began teaching that the baptism performed by Baptists was not valid (in about 1835), Alexander Campbell took strong issue with him (here and here for example.) Thomas was essentially regarded as a heretic for this teaching. In later years the views Thomas taught wer opposed by Lipscomb, McGarvey, Harding, and others. However, Austin McGary agreed with Thomas and had some success in persuading many churches to follow his view. That view still holds sway in much of the American south, while the alternate view is more prevalent in the west. Today there are a great many in churches around here who currently would find it impossible to embrace the Baptists, in part due to the differences on the purpose of baptism. Regardless of one's view on that controversy, I'm a strong advocate for constructive dialog. I'd say that Rick Atchely is engaging in some very constructive dialog in this situation! I wonder what sort of heartbreak Daniel Sommer must have felt to see his son use his own youthful folly against him. I can't imagine. My heart ached for him as I read it!